Angelina A. Alario, 88 passed away suddenly on Friday, December 14, 2018 at her home in Mariners Harbor after a long illness. She was born in Brooklyn and lived in Staten Island most of her life. At her present address since 1988. She worked as a beautician and a crossing guard for many years. Angelina loved to cook and enjoyed spending holidays with her family. She is survived by her husband, Dante and 2 dear sons, John (Jeanne) and James (the late Margaret). Also survived by her loving grandchildren, James, John, Dante and Victoria Alario. 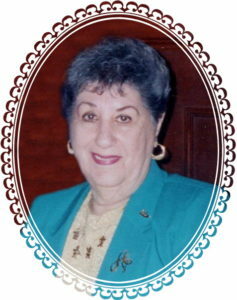 She is predeceased by her sisters, Dolly D’Amato and Rose Vasallo. Funeral from Cherubini McInerney Funeral Home, 1289 Forest Avenue on Tuesday at 9:15am with a mass at St. Adalbert’s RC Church at 10:00am. Viewing hours will be on Monday, 2-4 & 7-9pm followed by an Entombment at Moravian Cemetery.